This is the first part tutorial on Recon-ng which covers basics. 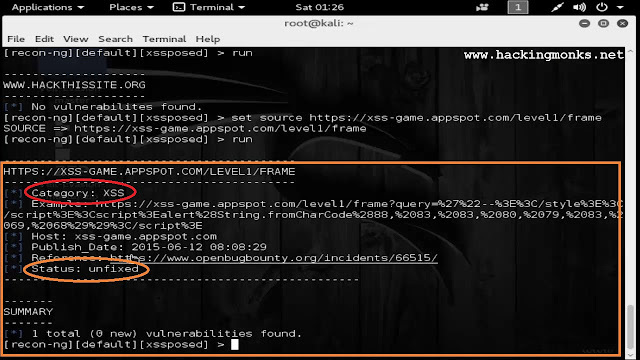 Today we will be doing reconnaissance and find XSS vulnerability in a Website. Reconnaissance - It is the process of gaining information of the target. Note - 90% of time a hacker does information gathering, just 10% for exploiting. This can tell you how much it is important to know your target. Information gathering - Exploring more about target which can lead us to vulnerabilities and exploits. 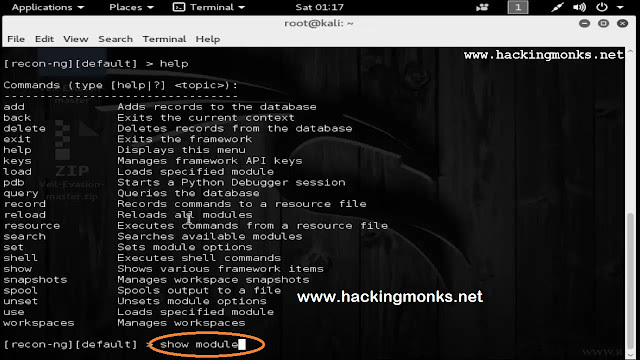 Recon-Ng - It is a tool in Kali Linux to perform penetration testing. These are some commands which we can use. 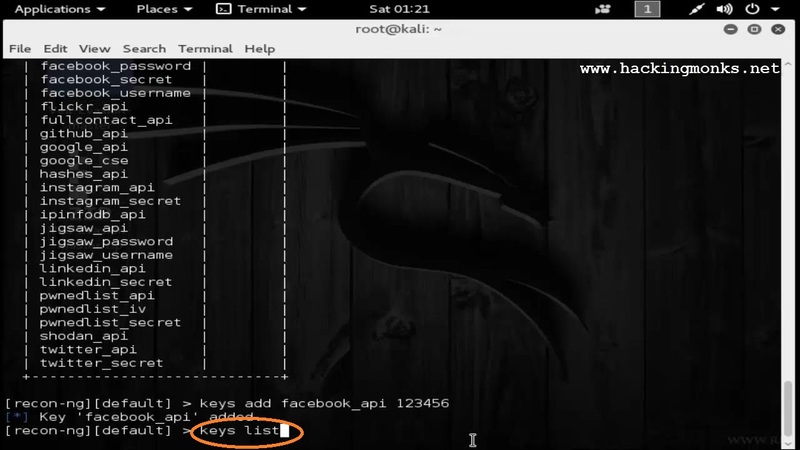 Note - The commands are very much similar to METASPLOIT commands. * Now we may want to see modules inside it. Type "show modules"
What I like about this tool is that it uses various application programming interfaces (which we call API) to get us more info on target. For example this tool uses google, bing, instragram and others. But you need to get API keys first. Some keys are free and some you have to pay for. 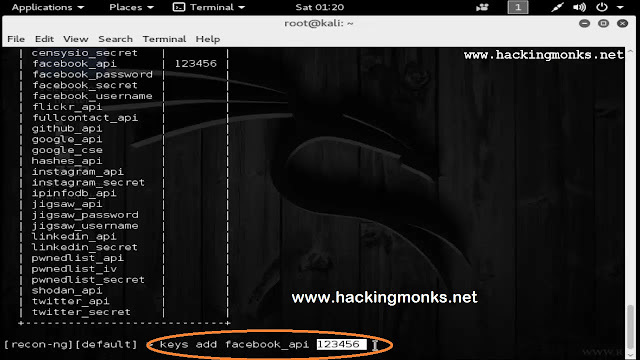 With these keys you have unlimited access over this tool. 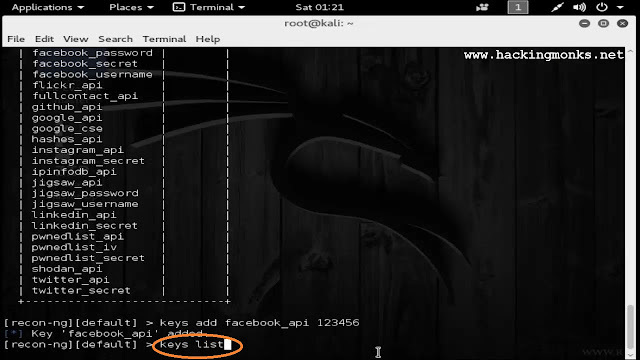 To see what keys it is using type in "show keys"
Say "keys add facebook_api 123456"
Ok now we will move on. We will use a module which do not require any key. We will use a module which scans for XSS vulnerability. XSS (Cross Site Scripting) - is a method where you can put malicious code inside a website for exploitation. 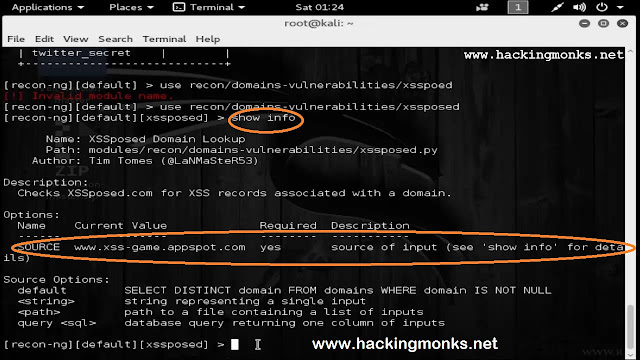 * Here in this tool there is a module called XSSposed. After entering this module we want to see the options which gives us the module setup info. There is nothing much to setup. We need to set up just the target website. It should show the source field empty for the first time when you use. I had already used it, so it is displaying the source with the target website that I had entered before. * Type "set source targetwebsite"
After setting up the target we just need to hit "run"
Here it says no vulnerabilities found. That's because the site is well constructed. And is not vulnerable to XSS. I have another site which is definitely i know is vulnerable to XSS. 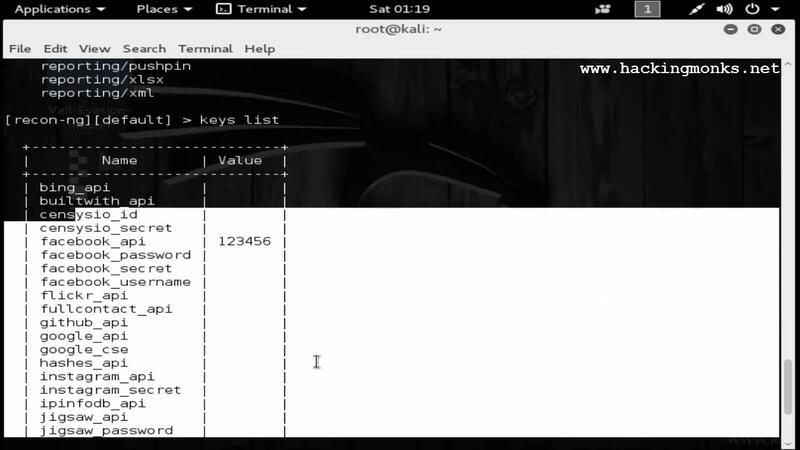 Its actually a game site which gives us XSS vulnerable website to hack. As you can see the red circle I have drawn in the above pic. It says it is vulnerable to XSS. This is a very neat tool when is comes to information and scanning. I will be making more tuts on this subject.